Summary of our event "Digitalisation in personnel management processes"
What is an advanced electronic signature? What uses does it have for an HR department? Is it legal? How much can we save by implementing Signaturit's electronic signature solution? We resolved these queries and others last May at our event together with VASALTO on digitalization in personnel management processes. During said event, we enjoyed presentations from different professionals who today we want to summarise in this post for all those who are interested but could not come to the event in Barcelona. 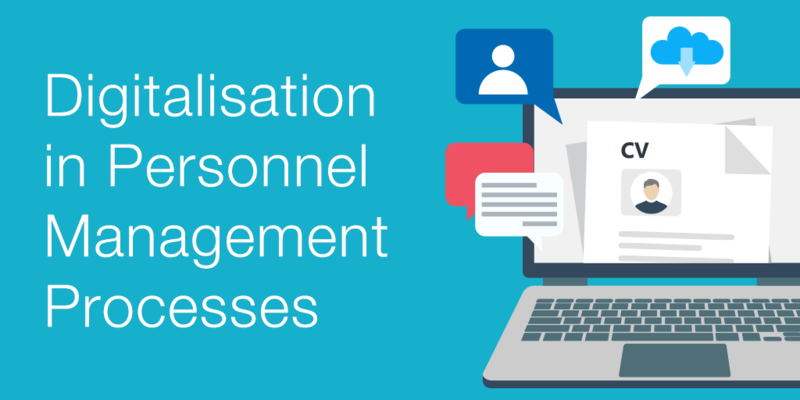 How is technology changing all HR Management Processes in companies? 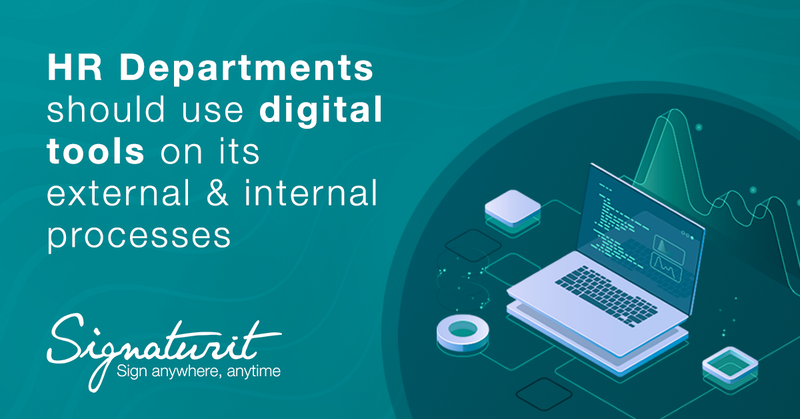 We are digital and live in a digital age, where almost all company processes can be adapted to new technological formulas. Hiring and personnel management processes too. Innovative platforms and tools are changing the relationships between recruiters, candidates, managers and employees, creating more efficient dynamics and optimising time. 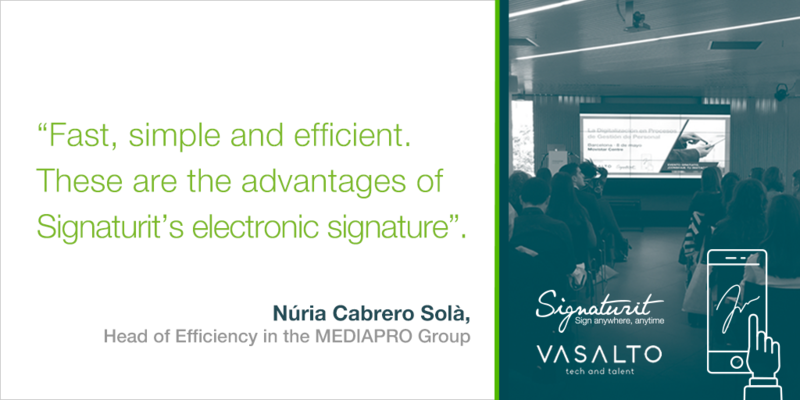 In addition to analysing the digitalisation of these recruitment and management processes, in the following post we want to explain how Grupo MEDIAPRO carried out the electronic signature project, and how it has proved to be a success. 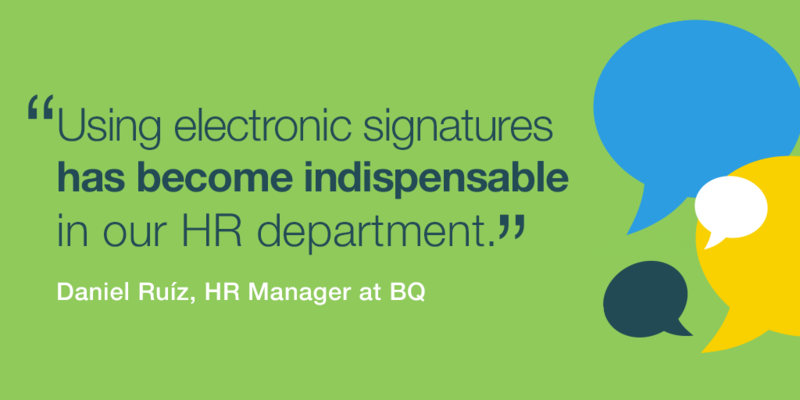 Using electronic signatures in any company’s Human Resource processes is key for improving the department’s productivity and making a difference at a time when getting an edge on the competition is becoming more difficult by the day. Find out how the advanced electronic signature can help your company attract and retain the best professionals, as well as how to automate internal processes.